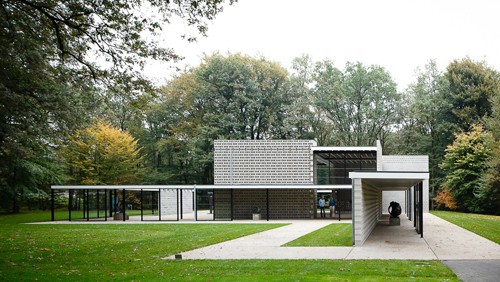 In 1955, Gerrit Rietveld (1884-1964) designed a pavilion for the display of small sculptures at the Third International Sculpture Exhibition in Arnhem’s Sonsbeek Park. 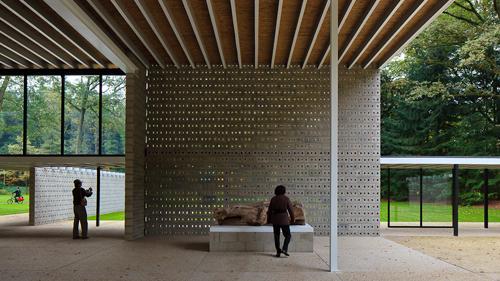 This ‘Sonsbeek Pavilion’ was intended as a temporary structure, and it was dismantled when the exhibition was over. 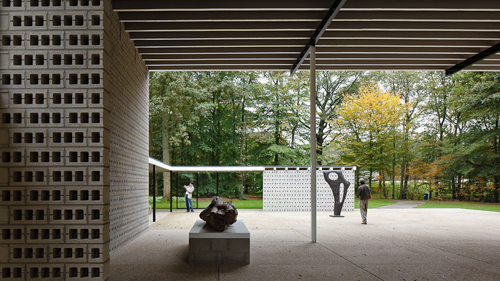 However, many people had been greatly impressed by its simplicity, and ten years later, on the initiative of several Dutch architects, the building found a permanent home in the Kröller-Müller Museum’s sculpture garden, under a new name: the ‘Rietveld Pavilion’. On 8 May 1965 the pavilion was officially inaugurated with an exhibition of sculptures by Barbara Hepworth. Hiya very nice blog!! Man .. Beautiful .. Wonderful . I’m happy to find numerous helpful information here in the post, we’d like work out more strategies on this regard, thanks for sharing. . . . . .